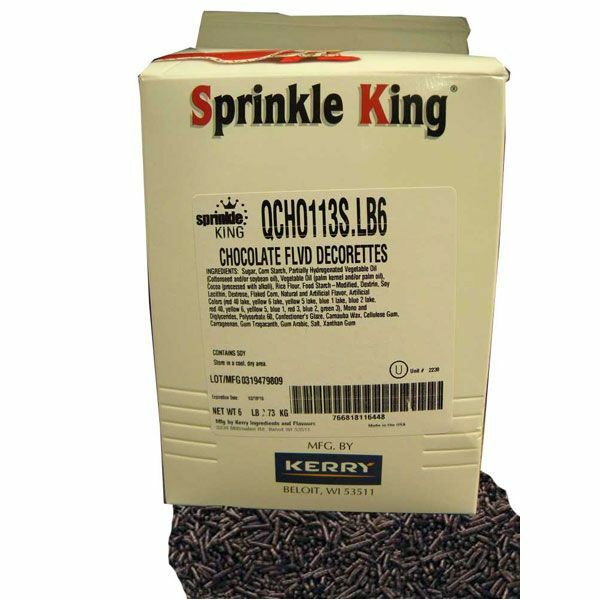 Chocolate Sprinkles. This is a 6lb box full of chocolate sprinkles for ice cream or cupcakes topping. Made in the USA. Great tasting and fun to use on top of your favorite treat!